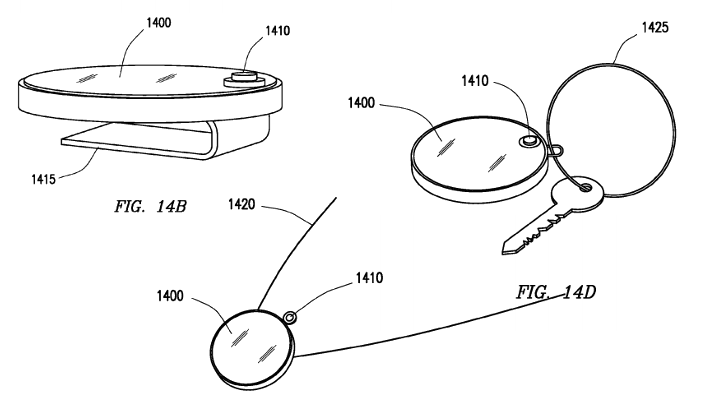 At the end of August 2013, Samsung filed for a patent describing a round faced smartwatch with some ingenious configurations and controls. The immediate reaction by many was to call Samsung a copy cat, being that Motorola has already announced a round faced watch, the Moto 360, that could hit the market as soon as next month at Google I/O. The Samsung patent smartwatch utilizes the newer style of full digital display, leaving Kairos alone in the mechanical watch with transparent overlaid digital display. The neat thing with the Samsung watch is that it does not have to be a watch. Samsung describes several uses of the main unit that remove it from the watch band and instead attach it to a necklace, keychain, belt clip and more. As this is just a patent application, there is not much else to speak of. There is some extensive touchless gesture controls made possible by a camera installed in the watch band. The best part of the gesture controls is that they do not take place in front of the display, no need to obscure your view of the display. You may have guessed that I took a thorough look at the patent application over on Android Authority, why don't you head over there if you want to learn more. What do you think, is round the new square, in terms of smartwatch faces, that is?